This Vulcan underwent a period of bad luck after leaving RAF service in 1983. Left to rot at Wellesbourne for many years, eventually she was transferred to the ownership of the airfield and was brought back into running condition with help from Delta Engineering and by the end of 1996 moved under her own power for the first time in years. She has come along very well since then and is now regularly fast-taxied. The aircraft will never fly again, but the owner and the engineering team intend to keep her in ground running condition and continue with the taxi runs for as long as possible. Several engine runs and a taxi run are carried out each year. See the 655 Maintenance and Preservation Society website for more details. Sadly in 2015 the airfield owners (who also own XM655) saw pound signs at the prospect of flogging off the land for homes and despite permission to build houses being refused, they've pushed hard to destroy the airfield and its resident businesses. Dramatic action by the local council appears to have stopped them from demolishing the aerodrome buildings but it appears tenants will be facing unsustainable rent increases in 2017. 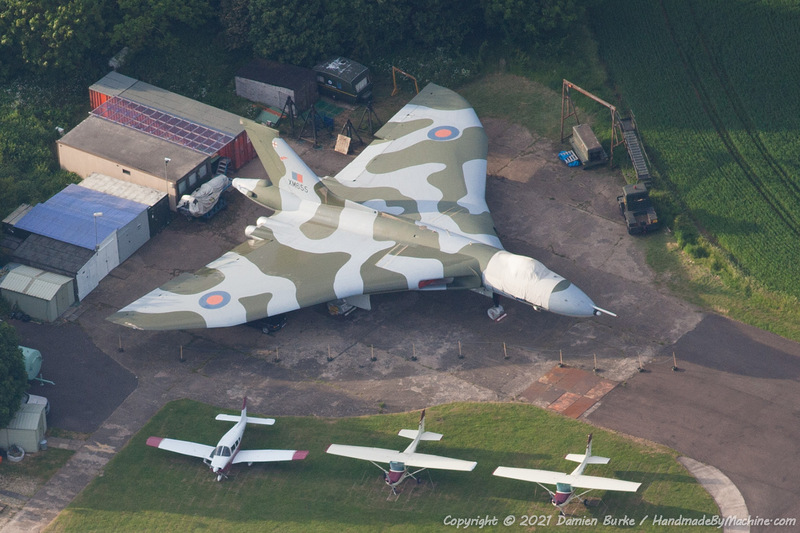 XM655's future as a taxiable - or indeed complete - example is now in doubt.